The best answers about carpet cleaning by expert specialists! Get excellent information about your rugs and sofas! 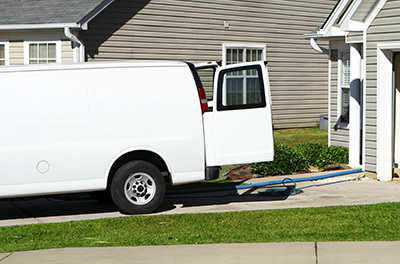 If you want answers straight from the experts of carpet cleaning industry, we assembled a list of Frequently Asked Questions to help you find the right path. These are all 100% accurate, and reliable. You won’t have any doubts about cleaning your carpets again! How soon can you walk on a recently-cleaned carpet? After a carpet is cleaned by a qualified rug cleaner, homeowners are advised to keep their children, pets and regular traffic off the rug for at least three to six hours. According to Carpet Cleaning Canoga Park technicians, you however, may lightly use the rug after cleaning by wearing socks, boots or house slippers. Wait a full twenty-four hours before you remove the plastic tabs and Styrofoam blocks which the carpet cleaning contractors placed to protect the rug from dirt and damage. Can carpet cleaning prevent molds? Mold growth can be prevented by reducing moisture from your carpet. In places where humidity is high, it's especially important that they should not get moldy over time. If not treated properly, moisture can sink deep into the backing causing molds, mildew and other microorganisms to spread and damage the carpet. Manufacturers recommend that regular maintenance with a high-power drying tool should be done to prevent such from happening. My pet just peed on my carpet! What do I do? You should clean your carpet the same way that you normally would. However if there are stains as well as a bad odor that continue to persist, then simply use products that specifically remove stains, odors or both. Is it true that regular cleaning causes the carpet to soil quickly? Yes, but only if the cleaning process was not carried out properly. Residues of soap or shampoo, for instance, attract dirt. Before you know it, your carpet will be dirty again. Professionals in Canoga Park, however, use a solution that will not leave any residues and ensures a job well done. How efficient upholstery steam cleaning is? Upholstery steam cleaning is highly effective as long as there are no stubborn stains. This method can revive the colors and freshen up upholstery but if there are stains, you must treat them first. It sanitizes thanks to the vapor of the steam cleaner. It removes dust and certainly freshens up the fabrics but if they are particularly dirty, you must consider another upholstery cleaning method. Does soapy water help for spills on the carpet? It can do a good job if the stain does not have potent coloring agents. The most important thing is for you to blot as much as possible of the spill. If you decide to use soapy water, you should apply with a sponge or cloth, as pouring it over the stain will only spread it.